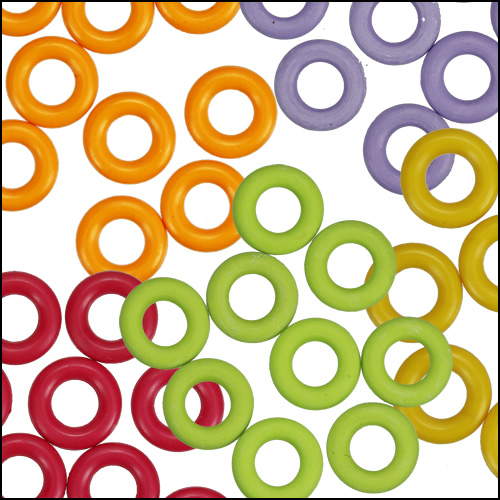 Our o-rings are latex-free! 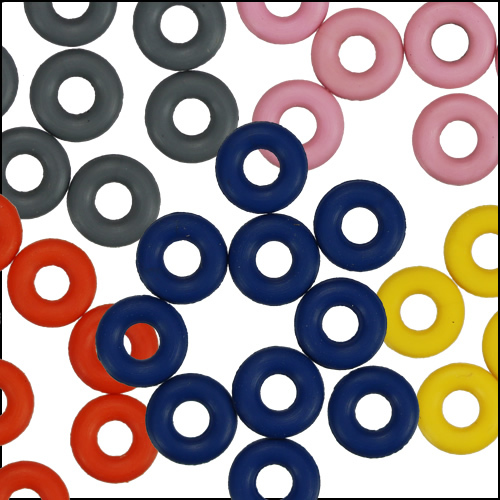 Use these as anchors to hold beads and sliders in place on various sizes of leather. 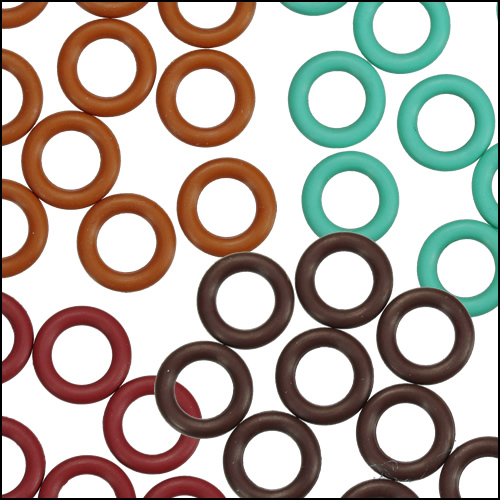 They can also be used purely decoratively, as the variety of colors offers a multitude of design options. 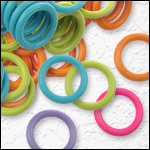 O-rings can also be woven together with jump rings and other supplies to make fun rubber jewelry!